The only way any business can grow is when you know the best way to marketing your products. Marketing your products is simply way of getting new customers and keeping them. If you are not doing anything to promote your business nothing will happens, and you won’t make any sales. The business can only grow when your potential customers’ keeps coming to patronize your products and service you offers. 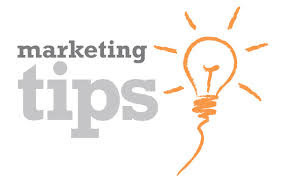 How do we implement marketing tips to effectively grow your business? Here am going to highlight the easier way to start promoting your business. 1. Creating Your Own Website. 2. Using Email Marketing Software. Through the use of email marketing, you can promote your business and marketing to your new and existing customers by offering giveaway gift like e-book to your subscribers. This is where you use pop window for the people to subscribe to your newsletters through your op-tin list form on your website for your visitors to fill their email addresses. You’ll then follow them up for new and existing products to persuade to get your latest products. 3. Partnership Large Email Database. As entrepreneur you can market your business by partners with large email database list owners. This is where your links, website and email address will require when you are partner with email database. The list owner will advertise your website links, product, or service to their email lists database and you’ll offer to do the same to your list. When this is done, you’ll get maximum response on your traffic to your website, or whatever you selling. 4. Make Your Complimentary Cards Available. Making your business card stand out and important information to the people you contract a business with. The business cards carry every details and information about your business such as your contact addresses, fax number, phone numbers, a map, or special dates to remember. Having a slogan that offers a powerful benefit statement to your prospective customer is very important and this will go an extra way of making people and other partners to know about your products, goods and your dealings. Giving the free giveaway gift as a special bonus packages with your product or service will go a long way. Its keeps your customers coming back to your website and continuing patronising your business and service you offers them. Get corporate sponsors to give away products as part of the bonus package in exchange for free exposure. Every subscriber, buyers would like to receive bonus and such could be a coupon or discount on a particular sales or service you offer, or free e-book as bonus package to them. 6. Frequently Posting Tips Online That Related to Your Profession. Post frequently online messages tips and valuable advice that relevant to your business or expertise boards/forums bring exposure to your business. You’ll eventually begin to gain exposure word-of-mouth as a leader in your field. Posting messages in line with your business or company information also helps to increases your search engine rankings and drive traffic to your business or site. The fastest way of driving targeted customers to your business website is using facebook fan page. Most large companies are earning thousands of money from uses facebook fan page to drive customers to the site. If you want large exposure for business, start using facebook today to promote your products and service, and you be astonish of response of traffic and sales you’ll make from it. Creating facebook page is very easy; you can learn the steps to do it yourself either on your personal facebook or separately. If you find this post interesting, think about sharing it with your friends through the social media button below. We love comment. Please leave your comment!